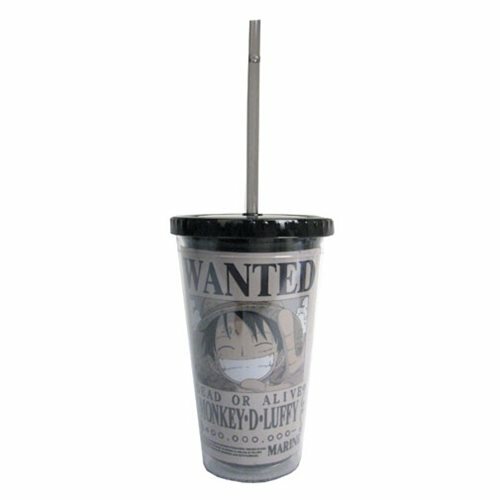 This incredible One Piece Monkey D. Luffy Wanted Dead or Alive Travel Cup features a top with straw and a wanted-poster design. Look out, Luffy, they're after you! Hand wash only. Not dishwasher safe. Do not microwave. Ages 13 and up.